"It was one of those summer Tuesday afternoons when you begin to wonder if the earth has stopped revolving. The telephone on my desk had the look of something that knows it's being watched. Traffic trickled by in the street below, and there were a few pedestrians, too, men in hats going nowhere." So begins The Black-Eyed Blonde, a new novel featuring Philip Marlowe—yes, that Philip Marlowe. Channeling Raymond Chandler, Benjamin Black has brought Marlowe back to life for a new adventure on the mean streets of Bay City, California. It is the early 1950s, Marlowe is as restless and lonely as ever, and business is a little slow. Then a new client is shown in: young, beautiful, and expensively dressed, she wants Marlowe to find her former lover, a man named Nico Peterson. Marlowe sets off on his search, but almost immediately discovers that Peterson's disappearance is merely the first in a series of bewildering events. Soon he is tangling with one of Bay City's richest families and developing a singular appreciation for how far they will go to protect their fortune. 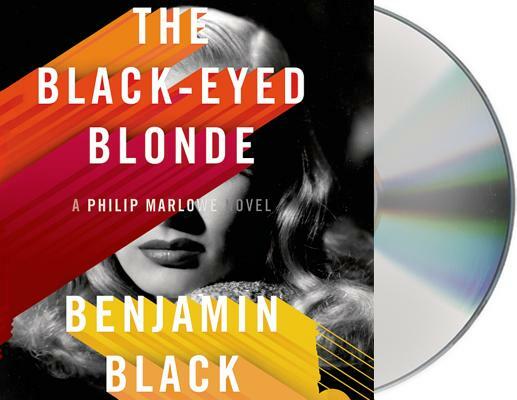 Only Benjamin Black, a modern master of the genre, could write a new Philip Marlowe novel that has all the panache and charm of the originals while delivering a story that is as sharp and fresh as today's best crime fiction.